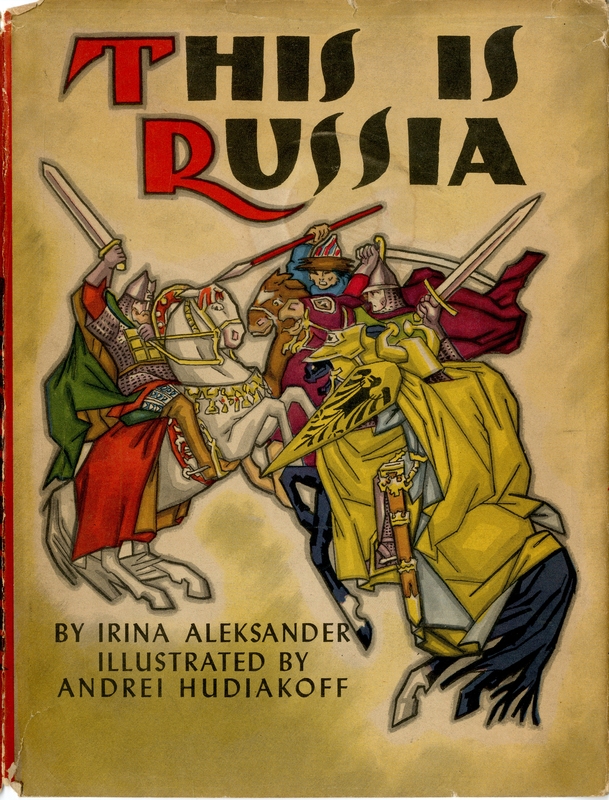 Western CT State University Archives' Digital Collections | This is Russia, by Irena Aleksander (1947) cover art. This is Russia, by Irena Aleksander (1947) cover art. Book was published by the David McKay Company of Philadelphia. The book was a history of Russia for young readers, from the earliest days of the Viking and Tartar invasions to the rule of Joseph Stalin. 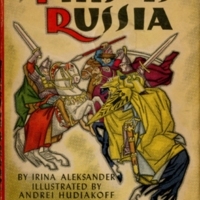 Aleksander also wrote under the pen name "Irina Kunina." Houdiakoff, Andrei, 1895-1985 and Andrei, 1894-1985 Hudiakoff. “This is Russia, by Irena Aleksander (1947) cover art.” Marjorie Echols Local Artists Collection, MS035. WCSU Archives, 16 Aug. 2017. Accessed on the Web: 24 Apr. 2019.